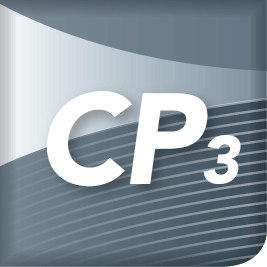 ECE just released a new Specific On Topic (SPOT) Training Video on CADWorx Plant: Starting a New Project and Specification. If you are just starting out with CADWorx Plant Professional, upgrading from a legacy version or just want to review the process, I would urge you to take a look at this video. Please take a look in our CADWorx Plant Professional Beginner Training Videos Section to view this video. 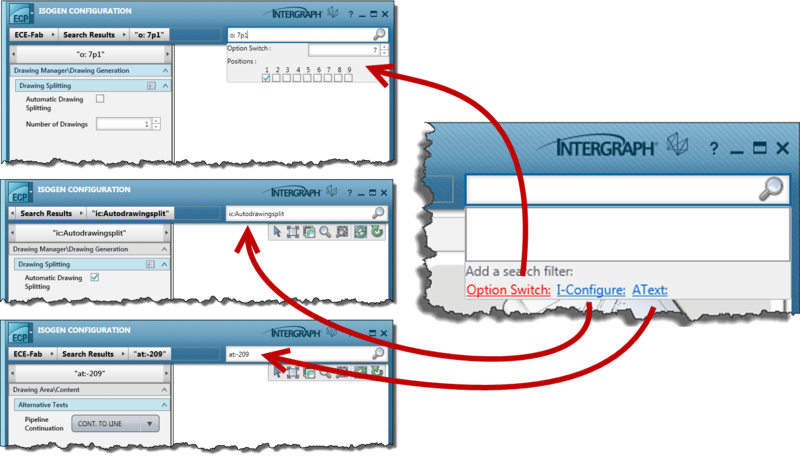 SECTION 1: ISOGEN Configuration Menu – The ISOGEN Configuration menu provides access to online help and printed documentation, the Technical User Forum on Linked In, the information needed when entering service requests into Smart Support or emailing support@ecedesign.com, and access to the Options Screen. 1. 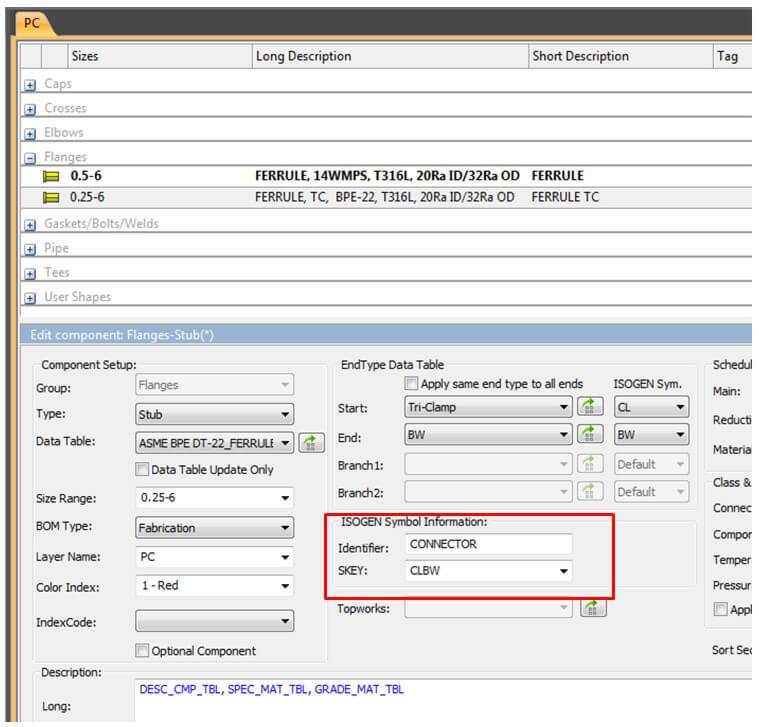 Home – Selecting this menu item will bring the user back to the Main ECP screen as shown in Figure 1 above. 2. 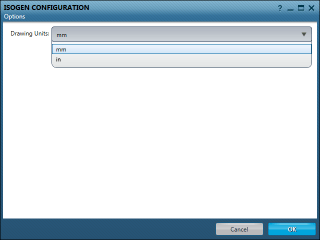 Options – The Options dialog allows switching the interface from mm to in or in to mm. 3. 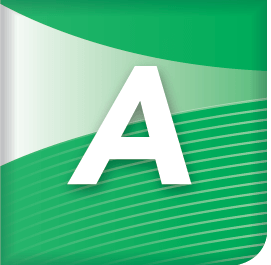 Help – The Help Menu provides access to the all the help files, printed documentation, User Forums and the venerable “About Screen” for program information. Style Category – This is the current ISOGEN Style Sheet to be edited. 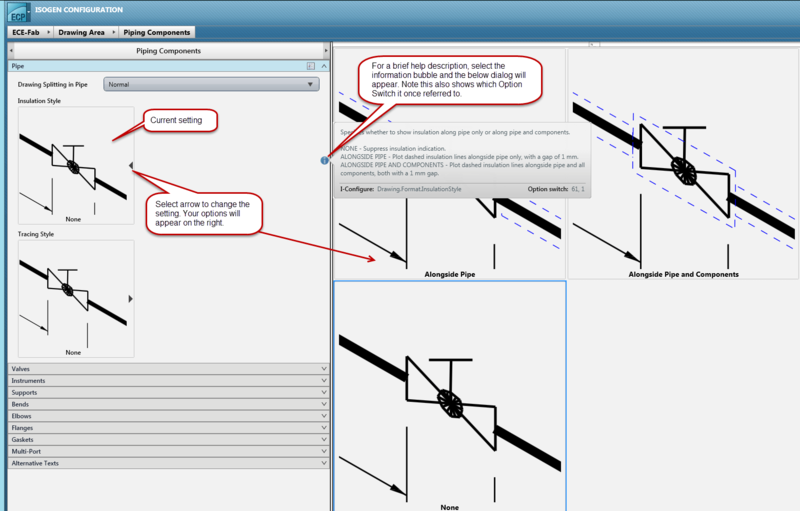 The breadcrumb trail hierarchy allows one-click access to freely move through and configure ISOGEN settings. followed by the active style group. The search box is a helpful tool to find settings. It works as most search boxes do, in that you type a string and it will display the results if found. There are also additional features that can assist those who are transitioning from previous versions. By using the enhanced search features as shown in Figure 6 you can find specific Option Switches, Alternate Text switches, or I-Configure switches. The Category pane is full of hyperlinks to quickly navigate you to a main Option Group to check out the switches shown inside. However, once a link is selected you will quickly be transported to an enhanced user interface. This editing pane is where you will see a list of switches on the left and an example iso on the right. In the options switch pane on the left, you will see a list of switches. Some are graphical and some are textual. If you are unsure what the switch does, you can click on the information button to see a brief description. The graphical switches show you how that switch will impact your iso. Some of the graphical switches give you the ability to see a flyout with all of the options available. See figure 7 below for an example of the options switch pane area. 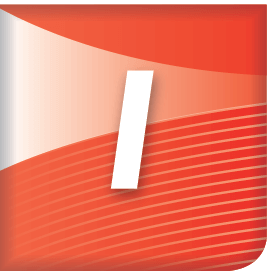 In the example pane you will see an example iso. This iso will update when changes are made in the left options switch pane. There are some navigation tools in the upper right, but you can navigate the example area similar to CADWorx, using middle mouse button panning and zooming. You can also double click a component and it will navigate you in the options switch pane to view the available switches. The Drawing Setup Tool hasn’t been updated much since the previous release of I-Configure. But if you are coming from Project Manager, this tool is a huge time saver. In the drawing setup tool you can control your titleblock, the location of the BOM, North Arrow, and other Attributes, all in an easy to follow graphical interface. 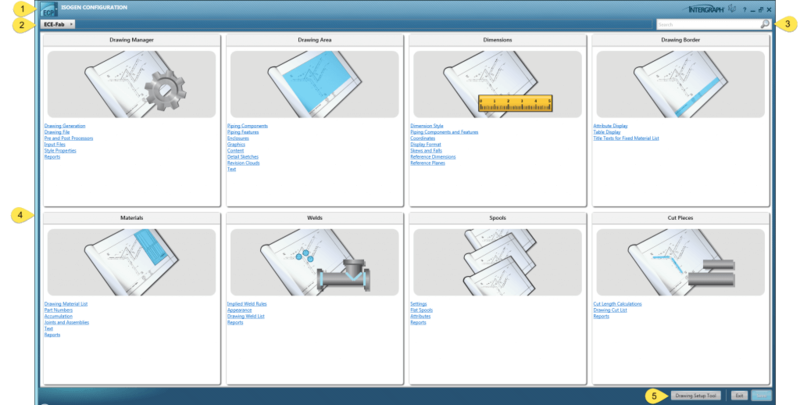 Across the top you will find several tabs to help navigate you through the process of setting up your drawing area. The first tab is Basic Setup. In here you will find settings to setup the overall feel of your iso. In the Backing sheet area you will choose which titleblock will be inserted, along with the size and units of that titleblock. Note, you will need to have your units set to decimal in your titleblock in order to use the inches units in the Drawing Setup Tool. 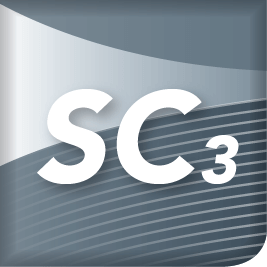 The “Number of sections” applies to the User Defined Material List option. One Section would be used for a combined material list (Fabrication, Erection, Misc, & Offshore components together). Your other options are Two or Three sections where the components are broken up into different sections in the BOM area. 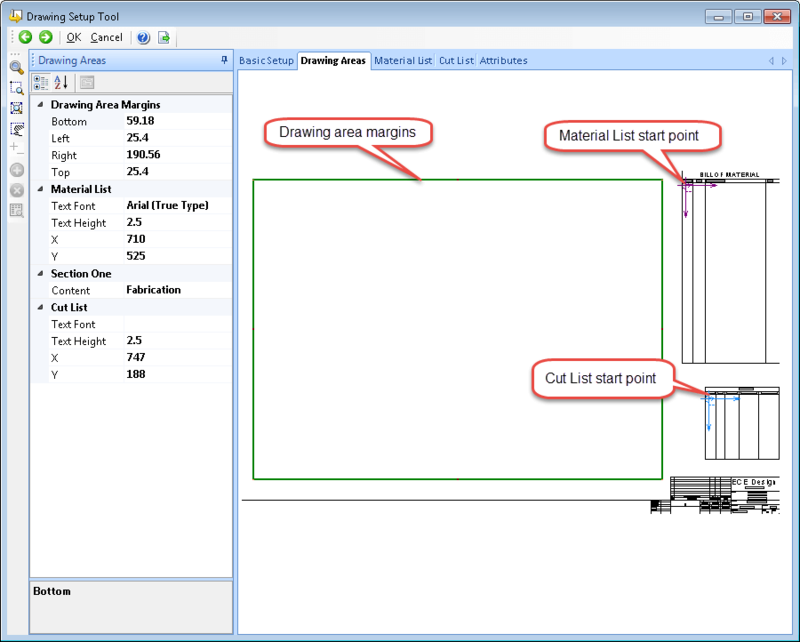 In Figure 9, I have shown a combined material list with a cut list. In the drawing area, you will notice a green boundary. This boundary is the area in which is considered the plotable area. Your titleblock and all switches must fall within this boundary in order for ISOGEN to work properly. The next tab is Drawing Areas. In this tab you will be able to select the drawing area for the ISO. You will also be able to set the location of your lists just by dragging the box/icons around on the screen. For those of you who like more precise control, you can also type in the exact coordinates in the panel on the left. The next tab is Material List. 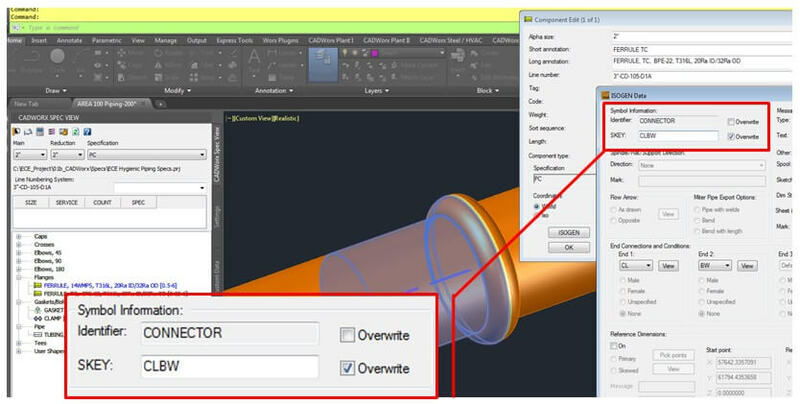 Note this is only available if User Defined Material List is selected on the Basic Setup tab as shown in Figure 9. 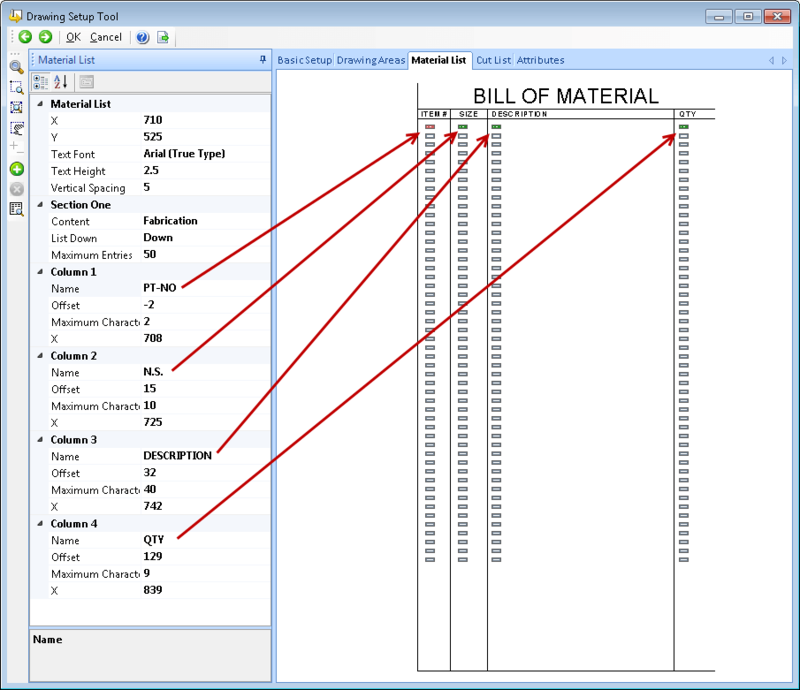 In this tab you will be able to determine which columns are shown in your material list. You can also change several other properties, either by moving them in the drawing area or changing their values in the panel on the left. Our next section is the Cut List. 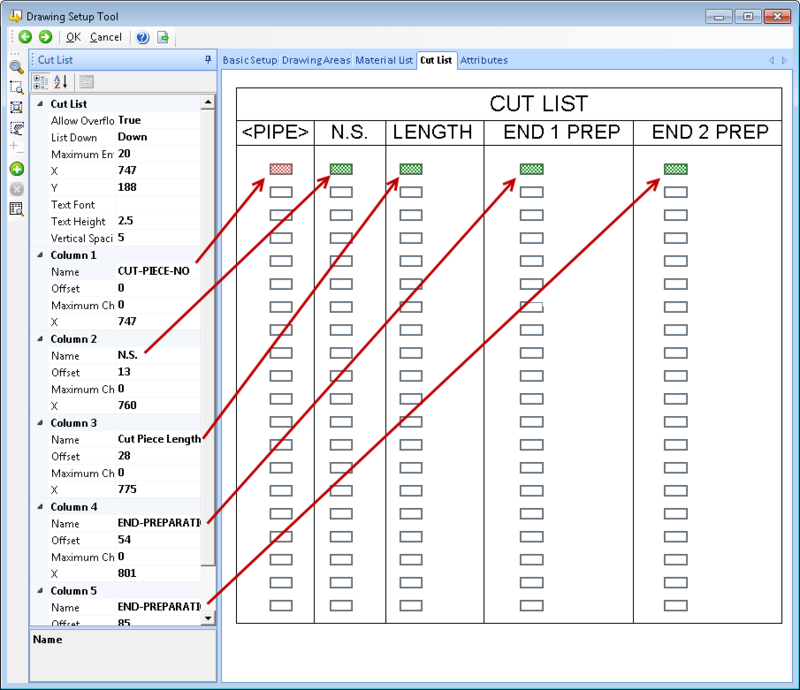 Again this is only available if User Defined Cut List is selected on the Basic Setup tab as shown in Figure 9. Similar to the Material list, this tab allows you to set which columns are visible and what their values will be set to. If you had selected User Defined Weld List you would see another tab across the top to set those settings. In our case we only have the Attributes tab left. 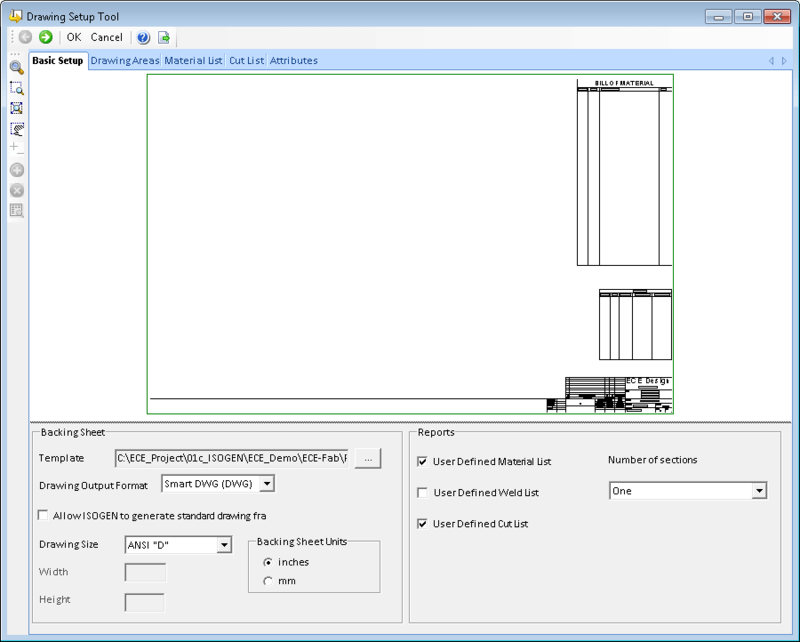 In here we will be able to have different ISOGEN attributes be placed as AutoCAD DText in the ISOGEN drawing output file. This tab is similar to the other tab, where you can modify properties, by either moving them in the drawing area, or by changing the text in the panel at the bottom. Now that we have visited each of these tabs, its time to save and start running some iso’s. Keep in mind that as you work in this nice graphical interface, you can still find all of these settings back in the previous category pane. Once you are happy with your settings you will need to Save and Exit the ECP and finally Export your settings for ISOGEN to read them. There are many switches in ISOGEN and hopefully this gets you started in learning where to find them in the new interface. Please find the recent SUPPORTWorx Webinar. We have had a great deal of feedback on the Plugin and we are developing some new features and functions in response to make the process even easier. If you have any suggestions or comments then please let us know! 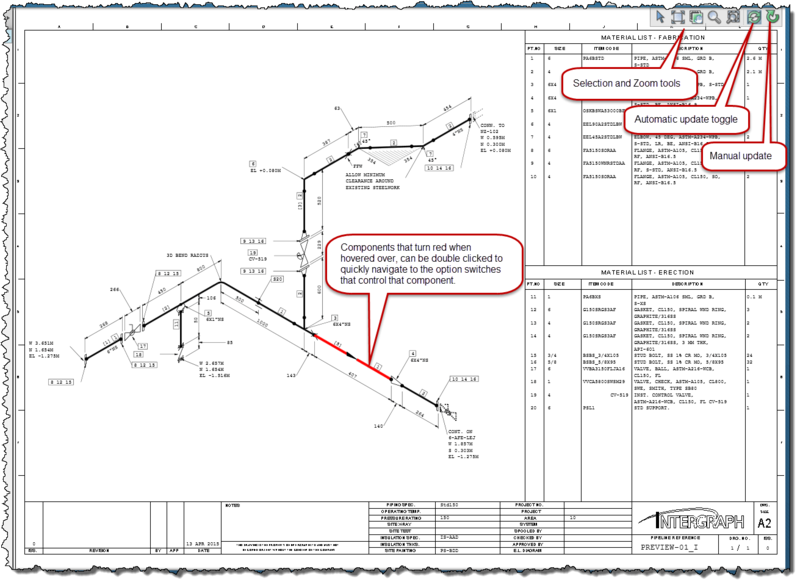 ‘Clamp’ symbols can show up on piping isometric drawings when modeling hygienic mechanical joints like the Tri-Clamp®. ECE recommends making the SKEY override in the Project (PRJ) file. In this way every Tri-Clamp ferrule will be populated with the desired SKEY automatically. 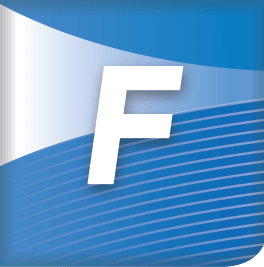 This is done by browsing to a ferrule, under the flange section, and then typing in the Isogen Symbol Information. Unfortunately, these fields are always blank even though CADWorx does assign an SKEY. Perhaps someday CADWorx development will populate these fields so we know what will be passing to the models and isogen when adding a new component. Anyway, this example calls for the Identifier to be CONNECTOR and the the SKEY to be CLBW (Clamp x Buttweld) as illustrated below. These overrides are simply typed into the fields. One Applied and Saved, this SKEY will pass to the CADWorx model and be flagged automatically as an override. Another option to consider is simply overriding the SKEYs on components after they are placed into the model. This is accomplished by using the CEDIT command then clicking the ISOGEN button. Within the Isogen Data dialog one can check the Override for the SKEY and type in ‘CLBW’ as shown below. By the way, this is exactly what it will look like if the ISOGEN Symbol Information is changed in the PRJ file as described above. SKEYs define so much of the graphics output for Isogen. 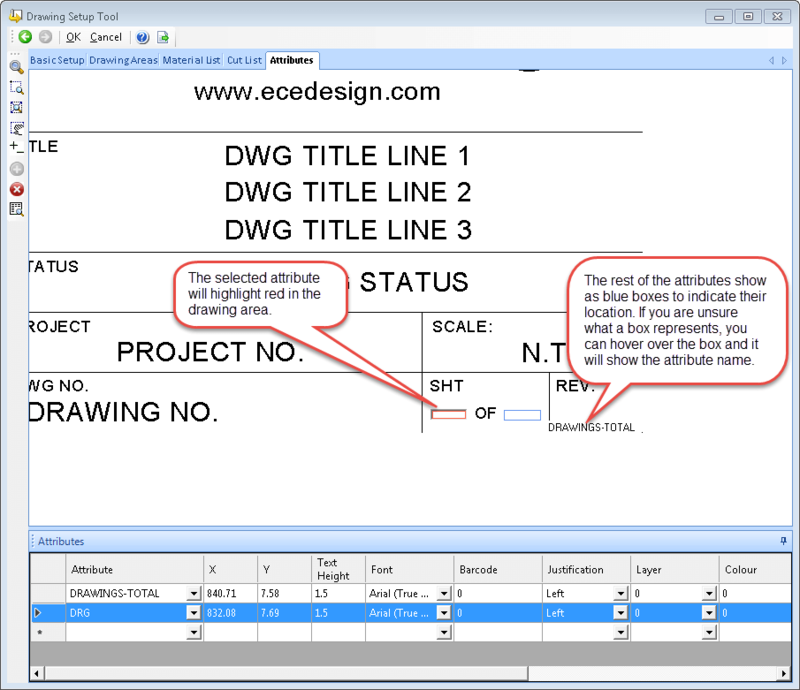 It is important for users to know they have controls within the CADWorx Specification Editor and the Component Edit (CEDIT) dialog box to set SKEYs. Users also have an SKEY Symbol Editor where they can design custom symbols or modify standard symbols to meet specific requirements. Taking control of SKEYs will definitely improve isogen output quality so it is worth getting to know more about them.